I love the atmosphere they give, the smell, the soft glow and the flickering flame. I adore how they can create a cosy feeling, a romantic atmosphere or just generally make the house smell beautiful and all from a few simple candles! So when I was recently contacted by a lovely lady at Partylite and offered some of the candles to try out I jumped at the chance and eagerly awaited their arrival. The candles arrived quickly and very well packaged snuggled safely inside a box full of packing beans to avoid any damage. 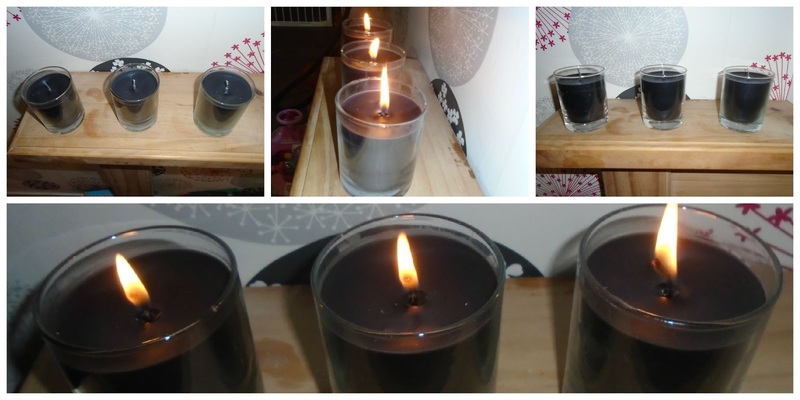 I received 3 different types of candle to try and here is what I thought of each of them. The first set of candles I tried was this trio of candles from the Forbidden Fantasy range. Seduce, Desire and Tempt are the scents in these candles and you can sample all three new black Forbidden Fantasy fragrances with this trio. These looked great on my fire place and they glow with a lovely soft flickering flame. The smell isn't to over over powering either. 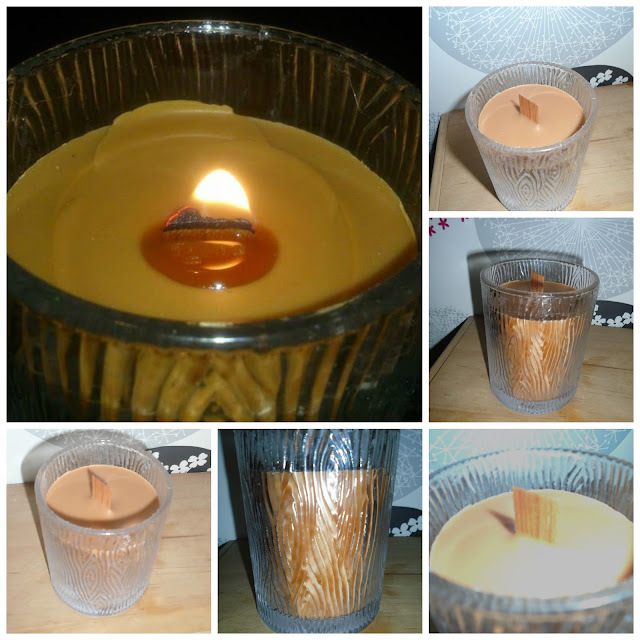 They have a burn time of 35-45 hours each and the beautiful simple glass votives can be used again and again! The next candle I tried was the Partylite wild strawberry Escentials jar which smelt amazing before I had even taken it out of the box! 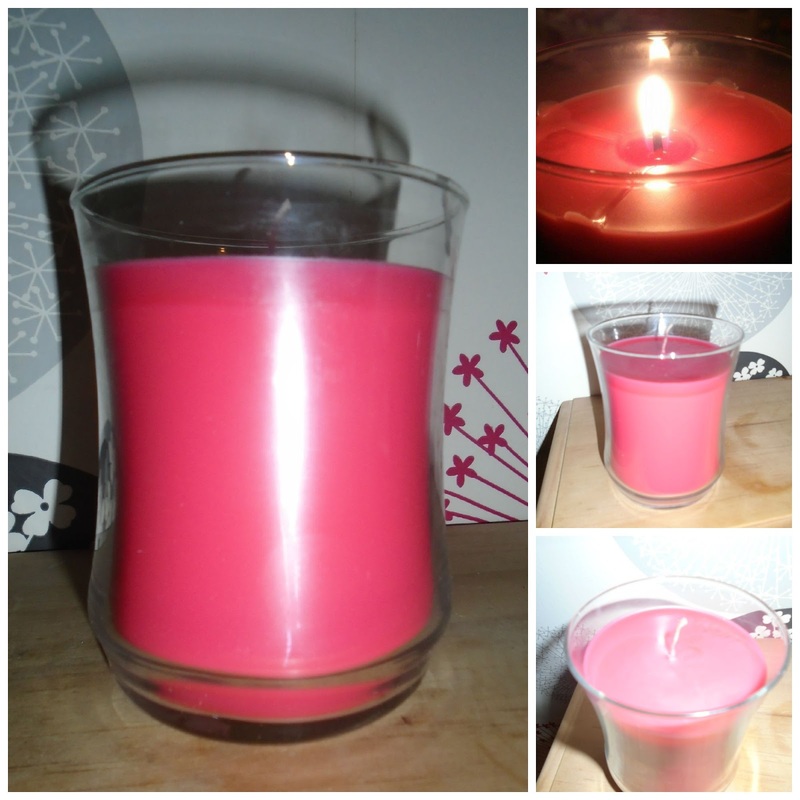 Even just using one candle the smell was fantastic and really filled the room with a sweet, fruity strawberry smell. The candle works best if you let it burn for a while (until the wax has liquefied to the edges). It has a burn time of 40-60 hours. The final candle I tried was the Natures light scented jar. I have to admit that I wasn't sure about this candle at first as I had never tried a wooden wick candle before and I wasn't sure how it would smell once burning. However this quickly became my favourite candle! The wooden wick glows with a low wide flame and crackles just like a real log burning fire! A few of these on a fireplace or mantle if you don't have a fire would be amazing for creating a simple yet cosy effect. The Tamboti Safari™ scent we tried is an alluring blend of herbs and citrus enhanced with amber, cedarwood, musk and spice. It has a burn time of 40-60 hours. Since trying these candles I have to say I am such a fan of Partylite! The candles smelt amazing with a smell that really lasts long after the candle has been blown out. The glass jars they are in are sturdy, strong and classic which can be used time and time again even when your candle is all finished. You can check out these candles and so many more via the Partylite website here - www.partylite.co.uk. Love the scent of strawberries, so that one definitely appeals to me.